Lifestyle 4 in 1 tipping buckets- available in 2 models- 1.5 & 1.8m feature a high-grade tensile steel make with hydraulic rams. Satera Engineering supply a wide range of Earthmoving Equipment and Attachments including Excavator Buckets, Excavator Attachments Stump Grinders, Bush Rigging, Tractor modifications and Attachments and related agricultural equipment. Hogan Engineering provide a range of earthmoving equipment and attachments including excavator buckets, sieve buckets, quick hitches, grapple, manual hitches, tilt buckets, mud buckets and more. WesTrac® is the Caterpillar Dealer for Western Australia, New South Wales, The Australian Capital Territory and Northern China. Founded in 1980, Kanaga Loaders manufactures a range of new and used mini loaders. Steelform Engineering specialise in earthmoving equipment and related equipment including Excavator Buckets and Attachments such as Hammer Head Plates, Compaction Wheels and Ripper Tynes. Steelform Engineering also offers an excavator bucket repair services. 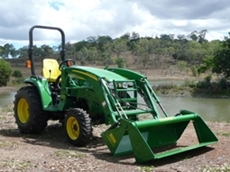 Australian Bucket Supplies supply a range of excavator buckets and attachments including side cutters, GP standard tooth sets and hammer brackets. Australian Bucket Supplies also offer excavator bucket repair services. Excavator Buckets Direct supply a range of excavator buckets and attachments including GP Buckets, mud buckets, rock buckets, sorting buckets, hammerhead plates, compaction wheels and ripper tynes. 26/05/14 - Austin Engineering has officially added the Hitachi EX8000-6 excavator bucket to their excavator product range. 07/08/08 - Kanga Loaders are involved in manufacturing a comprehensive range of earthmoving equipment. 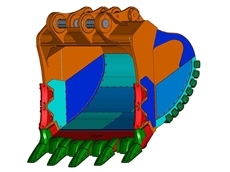 Trailers, loaders, attachments, business solutions are the products offered by Kanga Loaders.